The Parrot is a great entry level single rope from Edelrid, with a 9.8mm diameter that makes it smooth and easy to handle. In fact, it’s built on the same design as the Boa but with a TouchTec sheath, which means there is a different sheath weave in the first and last five metres of the rope to make it really clear when you’re getting to the end. This is particularly helpful for climbers learning to belay and really helps to improve handling technique. Elsewhere, the Parrot features Edelrid’s premium Thermoshield treatment to increase its longevity and provide even better handling. 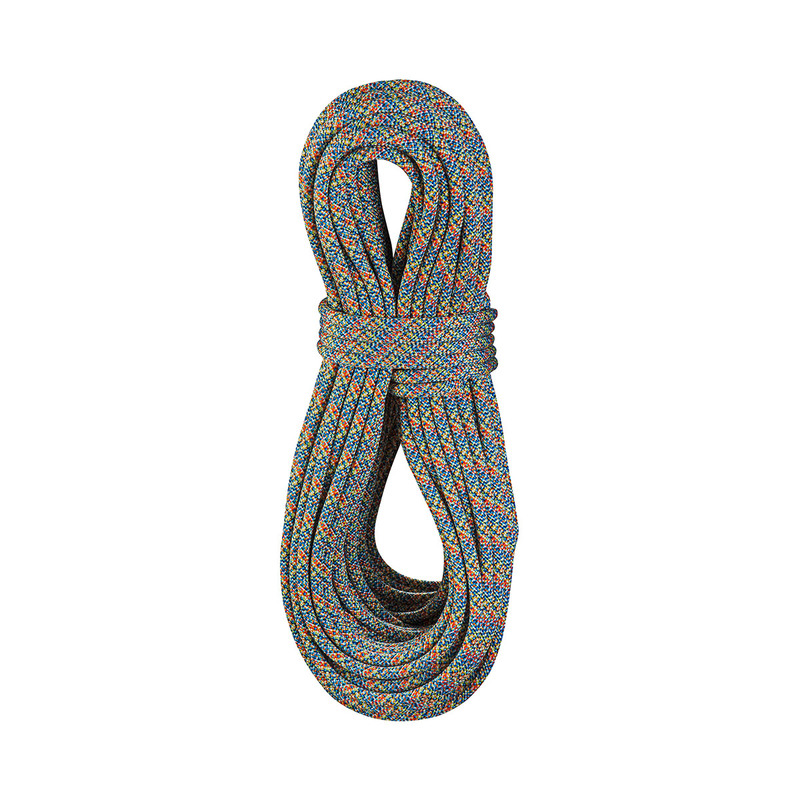 One of the best things about the Parrot Rope is that Edelrid use leftover yarns from producing their other ropes to make it - that’s why the colour is stated as ‘assorted’, because none of them will be the same. This means that no yarns are wasted, which is great for the planet, and actually means your rope will be cheaper, as well as provide great handling whilst still meeting the same safety standards as any other rope on the market. There really is no reason not to go green. TouchTec is Edelrid’s proprietary rope-weaving technique that results in the first and last five metres of the rope having a different look and feel to the middle of the rope. This is especially helpful for beginner climbers learning to belay, as it makes it clear when the end of the rope is coming up, which results in much better handling.